Bill.com is a Cash Flow Command and Control System that manages accounts payable and receivable for businesses of all sizes. 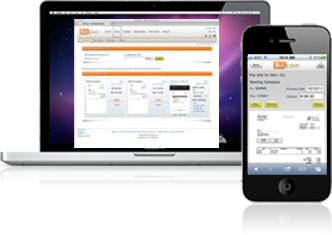 Offering online bill pay, custom invoicing services and collections, unlimited document storage, collaboration tools, and mobile access, Bill.com’s services easily syncs to users’ accounting software, QuickBooks hosting clouds and online bank accounts to better control company financials. A big hit at this year’s CloudSummit 2012, Bill.com guards against errors and employs enterprise-class fraud protections that current desktop methods cannot match. More than 100,000 users are now paying millions of bills worth billions of dollars using Bill.com. Small-business accounting software has greatly matured, but gaps in SMB business procedures still remain. Bill.com successfully addresses one of those gaps by expanding on the accounts payable functions of your accounting application. Bill.com can serve as a standalone application or as an integrated add-on to QuickBooks. Bill.com works with any accounting package hosted on the Cloud9 Real Time platform. You get one-click sync of data entered in Bill.com into your accounting package. Cloud9 Real Time offers free syncing to your Bill.com account with all user licenses. Bill.com recently added an interactive visualization tool that accountants and managers can use to visually represent and forecast their company’s real time financial condition into the foreseeable future. The new tool provides real time updates on payment or invoice progress without double data entry. Best of all, bill.com integrates seamlessly with the postal system, banking systems and your QuickBooks accounting application on Cloud9. “Bill.com’s easy-to-use solution makes it possible to scale operations and maintain financial controls over a fast-growing network of stores. We aren’t losing time tracking down paper and are saving at least 50% over the old method of paying bills, so we can reinvest that energy and money into what really matters: serving and satisfying our customers.” Peter Biro, Co-Founder and Partner, Massachusetts Burger Enterprises, LLC. and Third Slice.